The LT-952HC leakage current tester is a state-of-the-art test instrument designed to measure leakage current in accordance with the new U.S. and International Safety Standards that are based on the new touch current requirements of IEC 990. These standards include UL 2950/CSA 950 (Bi-National Standard), IEC 950 2nd edition w/amendments 1&2, and EN60950 2nd edition w/amendments 1&2. 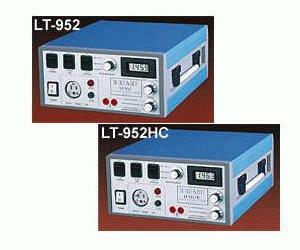 The LT-952HC is designed to make leakage current testing easy! Gone are the jumble of wires necessary to simulate the prescribed test conditions. No more searching for an acceptable meter to use. No more worries about calibration or correlation with the testing agencies. The LT-952HC transforms what was once a one hour ordeal into a quick and simple test.